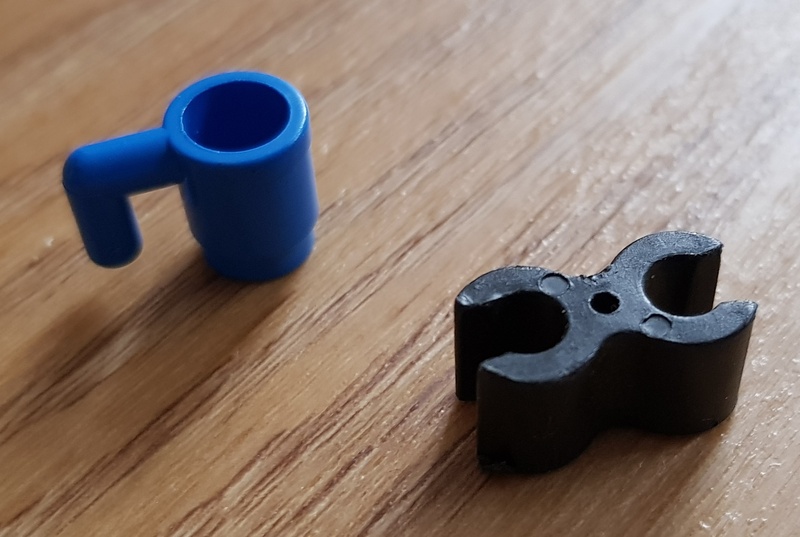 Is this an original LEGO part? Maybe Technic? See the cup for size comparison. The black one is a playmobil part, used to link fort wall part together. I think the cup is playmobil too. I don't recognize this part as produced by LEGO. On another thought, pictured black part has rough edges (low quality), which is unheard for LEGO.